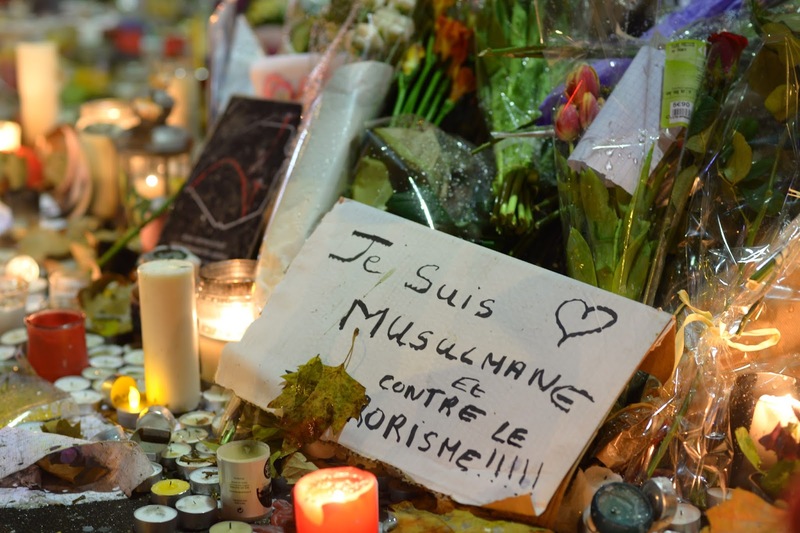 We all know what happened on 13 November 2015 in Paris (France) after extremists opened fire on people, out of whom 129 died and more than 350 injured. After that incident, there have been other attacks and last month itself in the USA, some hours after the Paris Attacks, some people opened fire on an Ahmadi Mosque in Meriden, Connecticut, the “Baitul Aman”. By the grace of Allah, there were no victims. But these attacks on mosques, be it those of Ahmadiyya or other mosques and Islamic centres, be it in America or elsewhere in the world, are becoming all the more frequent, especially because of the vendetta/ revenge which people are extracting against Islam. According to them, it is Islam and its teachings which are to be blamed! 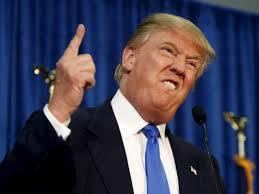 Worst, nowadays in America there are some stupid people who are standing as presidential candidates of the USA, for example, Donald Trump, a Republican who has seized the opportunity of the Paris Attacks to make his political campaign against Islam whereby he has proposed that if the Americans vote him, he shall make it a must to spy on the Muslims and bar entry of Muslims in the USA. His hate speech against Islam and the Muslims has brought shame to his own political party. His own people have fallen on him for what he said for America is for the freedom of religion, people and liberty of expression. I warn him, and all those like him, that if he does not desist from his words and realise his error, if he continues in his hate speeches against Islam and Muslims, therefore Allah shall seize him in a severe punishment and humiliation. It is Allah who shall deal with him, because terrorism has no religion. By the grace of Allah, Allah (swt) in His infinite wisdom and grace has given me again the Tawfiq to continue my sermon today on the subject of: “The Harmful Effects of Television”. Indeed the time that you lose watching TV is a time which you cannot gain back again, and verily you are in no position to know the exact remaining days which you have before you, before you leave this world. Therefore, maximize what time remains for you in the worship of Allah (Ibaadat), and the seeking of His forgiveness and mercy (Istigfaar). Spend all your time in the path of Allah by doing the works of religion and spend your money also for the propagation of the unity of Allah. Do not spend your money in useless preoccupations wherein there is no divine reward or pleasure. Islam teaches us that despite all that which we possess (on earth), we verily have no right to use it in the way we want for all these things verily belong to Allah alone: our body, our strength, our time, our money and knowledge, etc. As for TV, it makes us waste our time and money in the disobedience of Allah and it makes us become lazy. With each second that you spend before TV you waste your existence, and verily you shall one day have to account for all that before your Creator. Your TV set plays day and night to such an extent that your electricity bill becomes enormous. It is verily wastage of your money, for apart from (national) television, you get to subscribe to other private channels and you have to pay for all that every month. Bear in mind that you have to account for all wealth/ money which Allah has given you before Him one day. Therefore, instead of wasting money, put the money to good use in the treasury of the Jamaat, to spend for the cause of Allah. This shall verily be a blessing for you for Allah shall put His blessings in your money and home and Insha-Allah, you shall have a great reward for it in the hereafter. What you sow in this world, you shall reap it in the hereafter. When you sow good deeds solely for the cause of Allah, therefore you shall reap an infinite reward both in this world and the hereafter. Verily the reward in the hereafter shall be much better and grand. Today, by the grace of Allah, Allah has given me the Tawfiq to continue the second part of my Khutba Jummah on ‘The Harmful Effects of Television’. Through TV, the Islamic dress code is disappearing, to such a point that there are some who consider the Islamic clothing as uncivilised dress code and only good for ancient times! Islam has put great restriction concerning sexuality so that the social life of our community remains clean and far away from prostitution, homosexuality and other social maladies. As for TV, it not only removes that restriction through the means of its dirty films but it also incites young people to satisfy their carnal desires (sexual needs/ passions) in an immoral and illicit (Haram) way. Islam is a religion which teaches Muslims men as well as women to cultivate shame (Haya) in them because shame is a quality which helps cultivate mutual respect. 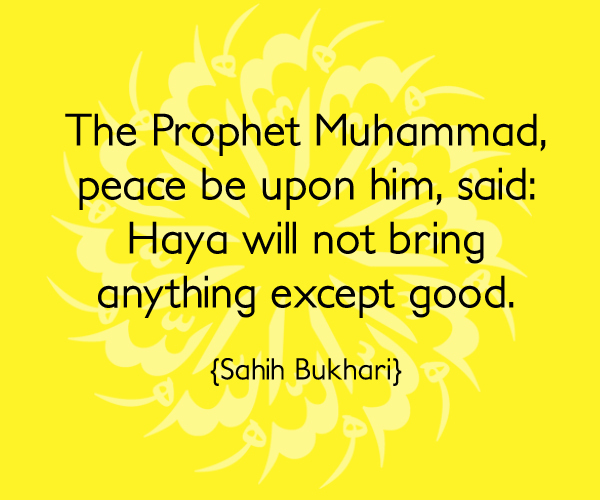 The Holy Prophet (pbuh) has even made us know that Allah (swt) has joined shame (Haya) together with faith (Iman). As long as someone has shame in him, his faith shall be alive, but if he loses his shame, he loses also his faith, and he begins to act like an animal. Through the various obscene TV channels proposed to people, television has taken away shame from that community (the Ummah of Hadhrat Muhammad (pbuh)). Hazrat Muhyi-ud-Din Al- Khalifatullah Munir Ahmad Azim Saheb (atba) opened his Friday Sermon stressing on Obedience to Allah and His Khalifatullah, for therein is true salvation for a true believer. A true believer never seeks to hurt the feelings of the Messenger of Allah, Khalifatullah. The one who truly loves Allah and His Khalifatullah will always show obedience to Allah and His Khalifatullah. 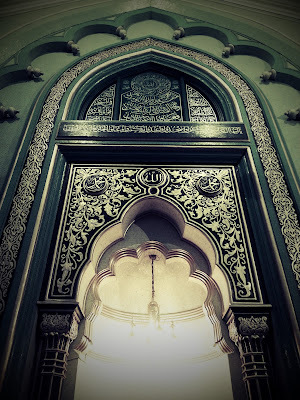 He reiterated the need for each member of the Jamaat Ul Sahih Al Islam, National and International to ever remain firm in his or her belief and to always project the authentic facets of Islam, and forego all kinds of arrogance and attachment to minor/trivial things which can thus become major impediments in our faith. Arrogance can exterminate one’s faith, and an arrogant person can become like those who left the Divine Manifestation and sought to create problems for Allah and His Messenger and Jamaat. Huzur (atba) said that there is no difference between someone who left the Divine Manifestation and the one who does not pay obeisance to Allah and His Khalifatullah and manifest his or her nafs (ego, passion). Allah does not love the arrogant. He made the congregation ponder over the situation of those who left the Divine Manifestation, who noted down the divine revelations, where are they today? Or even on those who at the very beginning of the Divine Manifestation itself rejected Allah’s revelations and signs! Now, with the celebrations of the centenary Jubilee of Ahmadiyyat establishment in Mauritius, how hurt they felt when their own Khalifa (elected by man) did not attend this function! 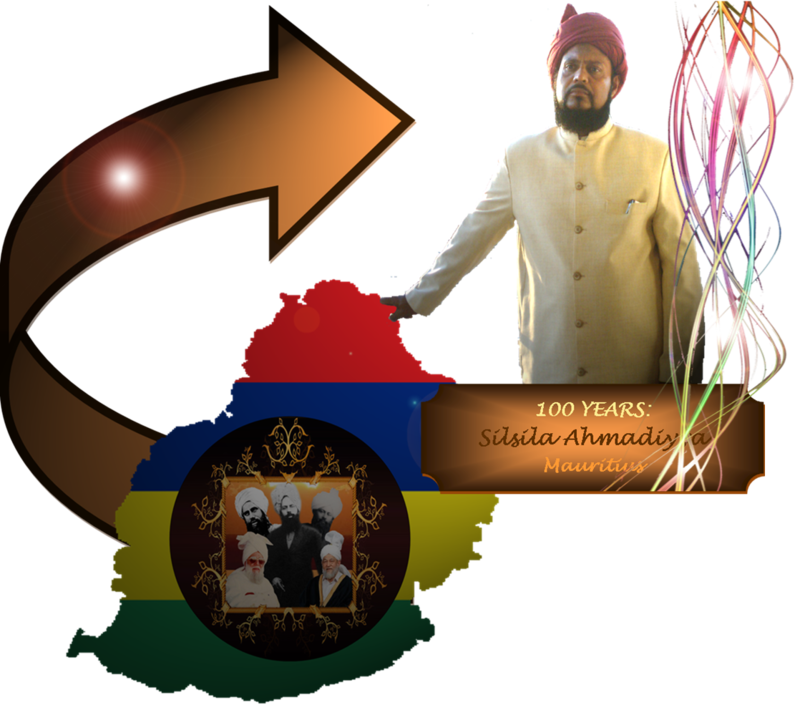 Mauritians from all over the world came back to their country in the hope of having that grand celebration with their Khalifa, but all in vain! Allah has showed that there is no Khalifa except His very own Khalifatullah, His Chosen Khalifa who could have celebrated that particular centenary Jubilee. All the programmes done were through the helping hand of Allah. Are you still blind? Are you not still recognising that sign? 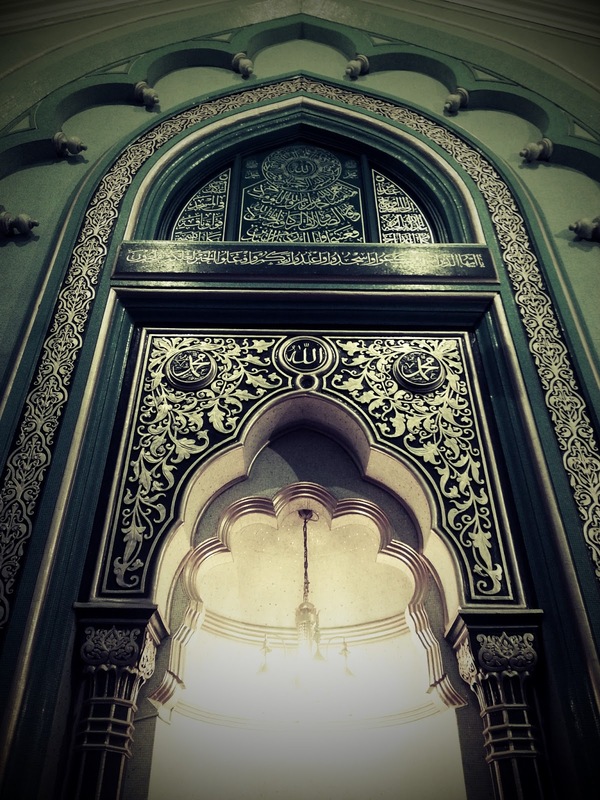 Are you still manifesting your nafs (passion)? Are you still disputing over petty things? Are you trying to put the Messenger of Allah and the Jamaat of Allah in a fix? In the times of the Holy Prophet of Islam (pbuh), the latter stressed on unity, for it is united that we can progress – not divided and having petty arguments! Today the subject of my sermon shall be on the harmful effects of television. TV in itself is a favour for us from Allah (swt). You shall notice that in all good favours that Allah gives man, little by little Satan makes his way in them, leaving his mark, thus spoiling the favours which Allah have enabled us to have, especially in this past era and the actual era in which we are living with the introduction of television. 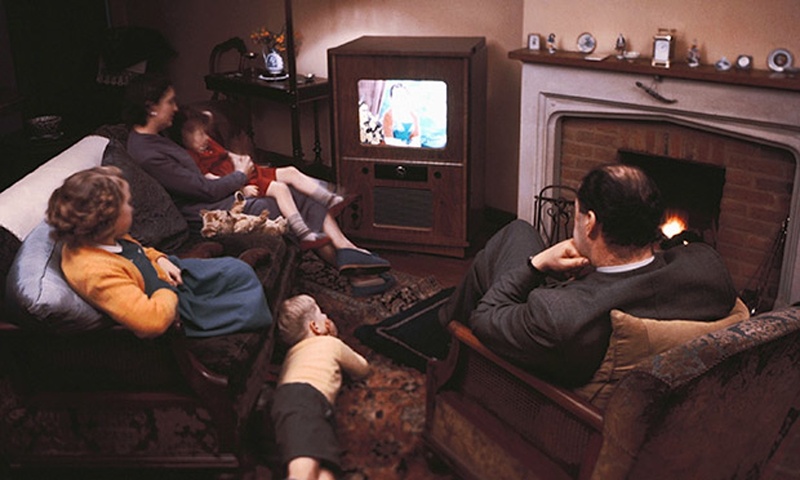 There are programmes on TV which are essential for viewers, to learn from the given information, such as documentaries, news, educative programmes and others. Now attraction to all the good effects of TV has disappeared, especially among the youths. Are you people now pondering over the arrays of TV Channels which are available today? I recall the past when there was only one television channel in Mauritius and there were interesting programmes, educative ones (such as documentaries etc.) which started around 3.00 pm and ended at 10.00 pm. Even the radio ended early just like for television. It was years later that a second channel was introduced and today there are a whole lot of TV channels besides the basic national TV channels. Now there are TV stations such as CANAL + proposing new programmes and channels and there is also the MY.T which proposes different new channels. Recently MY.T through publicity done have given viewers 3 months (till October 2015) free viewing of all its channels (more than 73 channels), with the hope that this attracts more and more people to subscribe to these usually paid channels. From what I have learnt, all kinds of Hindi and other serials are being broadcast, one after the other. Now, what one sees is that all people are before the television, morning and evening. And there is even the option now to get to view the missed programmes and films of the past days. 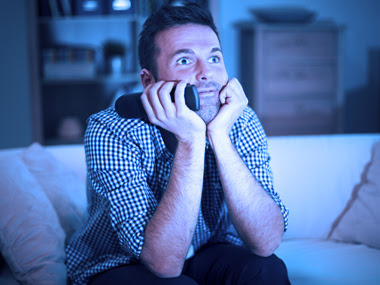 So the believers need to ponder a lot over the harmful effects of television. Nowadays, a TV in a house has become for the people like a dangerous enemy. It has become such an enemy which is destroying your Iman (faith), time and money when you go to have paid subscriptions to get to view such channels which are dirty. 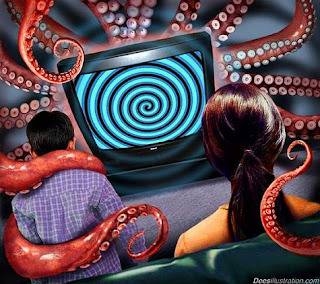 At the same time, you are inviting your wives and children to partake of the harmful effects of these immoral movies and as a result, they also get to be negatively affected by these. Many of our elders these days have approached me to share their testimonials about our male and female Muslim youths. Despite the hard trials, boycott and persecution upon me and the members of the Jamaat Ul Sahih Al Islam, but as the Caliph of Allah, I do not have the right to remain passive and fear them, and thereby letting our youths (boys and girls) go astray. By the grace of Allah, come what may, I do not have fear of creatures in me, and Allah (swt) has sent me to accomplish a mission and I shall do it despite the palavers and persecutions of the so-called great defenders of Islam. When they have relinquished, abandoned the works which they were supposed to do, Allah has raised His Caliph (Khalifatullah) with a Jamaat to do the noble work which our beloved prophet (pbuh) did. Try as you may, but you shall not be able to extinguish the light of Allah, and let me tell you that Allah (swt) shall continue to perfect His light. Allah (swt) does not need the permission of anybody. When He has to raise His Chosen Servant, He raises him without being accountable to anyone. As for you (our opponents) wait for the consequences (of your acts) before Allah (swt). Coming back to the subject on the Muslim Youths: Thus, what we see these days, it is sad to say that our youths are going completely astray. And it is sad to see also see Muslim girls in all corners of the streets with non-Muslim boys, and flirting as if they are Bollywood and Hollywood actresses and actors. What is worst is that the image (and honour) of Islam is being trampled by them, for in addition to all these, they also display themselves with beer cans. Where are those so-called Mullahs, those great defenders? Are they blind? Do they not see which route these youths have taken? As for you, parents – I am not judging you (but) – are you talking with your kids these days? Instead of losing time in vain things and talks, for example, watching vain TV serials or talking about vain things (palavers) with the neighbours, instead of all these, talk with your children like parents should so as to know what is going on in their everyday lives. 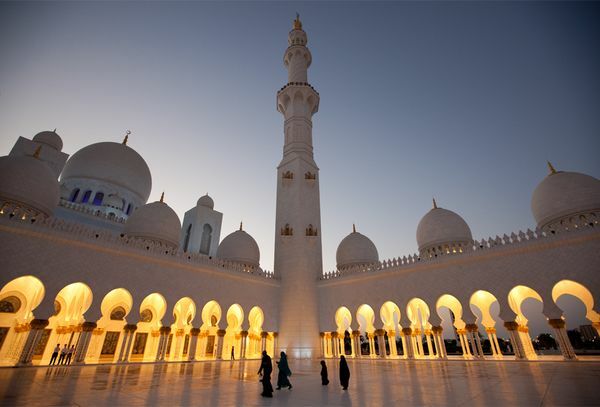 By the grace of Allah, nowadays people in the four corners of the world are lending positive ears, that is, listening carefully and acknowledging the message of the Jamaat Ul Sahih Al Islam. Allah (swt) chose us to transmit the divine message, the same message which was given to Hazrat Muhammad (pbuh). 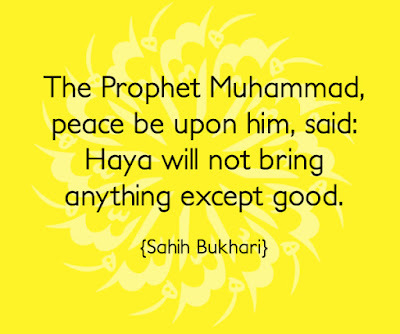 As our noble master and prophet, Hazrat Muhammad (pbuh) is no more today, but nevertheless Allah (swt) has provided ways and means for His message to be transmitted in our present time in a way to connect both eras. Who are those people who are capable of spreading this message? 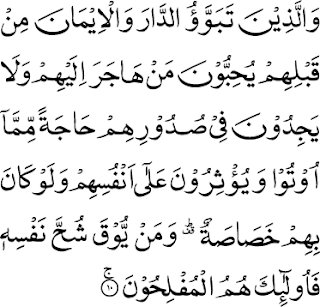 a) Yatloo alayhim Ayaatihi: that is, the one who reads the verses of the Holy Quran and explains them to others. b) Wa yuzakkiihim: that is, when he reads these verses, he purifies the hearts of people and converts them in the good sense. c) Wa yu’allimahum Kitaaba: that is, he teaches people the Holy Quran. d) Wa Hikma: that is, and he teaches people also the Wisdom. There are numerous people who have accepted the message of Allah but they are not convinced. Some have accepted the message of Allah with good hearts and want to do good deeds, but they don’t know what to do exactly and how to do them. Hence, it’s the Taleem-ul-Kitaab which explains what pleases Allah and what displeases Him. 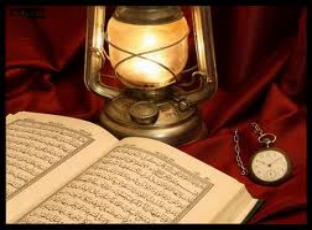 It’s very important for all of us to acquire knowledge and its BEST SOURCE is from the Holy Quran. And moreover, to have the best explanation of its verses, we all need the Best Lecturer, one who is Divinely-Guided and possesses Taqwa, fear of Allah in his heart. 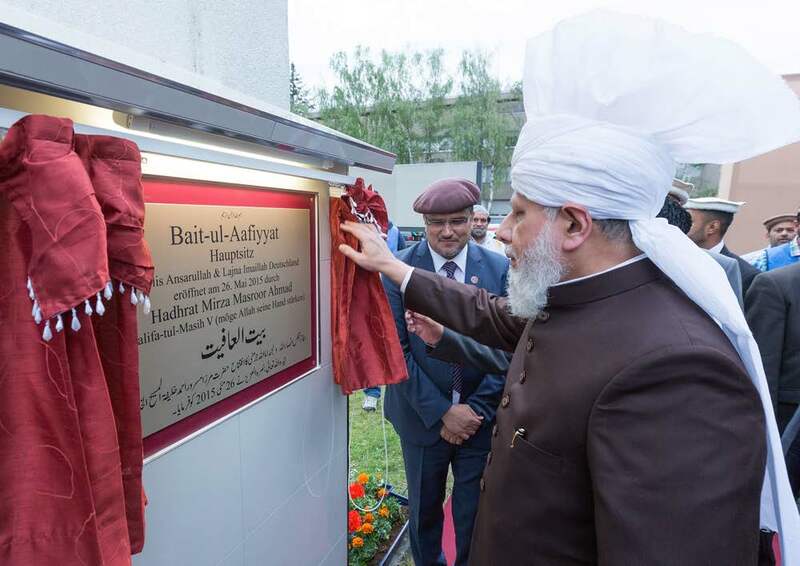 (I)n his Friday Sermon of 29 May 2015, Mirza Masroor Ahmad Sahib stated that every day the Ahmadiyya Muslim Community is witnessing many signs and favours and he cited with arrogance that in Germany, the Lajna and Ansar had recently bought a five-storey building for € 1.7 million, and affirms that this was a divine support in favour of (man-elected) Khilafat. (Inset on the left: a Photo from the inauguration ceremony of the headquarters building). If the Khalifat-ul-Massih is measuring progress in terms of material possessions instead of spiritual growth (and/or declination) then he is taking an absolutely wrong route. Verily, the worst fears of both Hazrat Muhammad (pbuh) and Hazrat Mirza Ghulam Ahmad (as) were that a time shall come when Islam will be so rich in material means that people will give that more importance and be blinded by them rather than staying true to the true divinely-sent faith. They knew that victory shall come for their followers and they did not worry for their current meagre financial situations for they knew also that those empty treasuries shall be filled one day. What they feared is the corruption and fraud that shall ensued after the large amount of money come to ornate the treasury of the community (Islam as a whole, and the Jamaat Ahmadiyya in particular). Food for thought: The more there is material growth within a community, be it secular or spiritual, the more there is degradation. If the moral and spiritual values of the people are not secured, the spiritual community falls prey to the allures of the Satan, and the common people, as well as the high priests and heads fall prey to the lust for temporal power and authority. Khalifatul Massih V as "Ummati Nabi" ? The Promised Messiah (as) received the status of Ummati Nabi (subordinate prophet) and of Khatam-ul-Khulafa (Seal of the Caliphs). It’s true that it is only in the Jamaat of Hazrat Massih Ma’ud (as) that Allah (swt) will raise subordinate (Ummati) prophets. How will we know how Allah (swt) shall choose this kind of subordinate prophet, His prophet? It is of course, through DIVINE REVELATION and not through the tongues of man (i.e. elected by man) that this humble servant of Allah shall have to proclaim himself officially, affirming that Allah alone has raised him as Ummati Nabi and after his death, well-guided Khulafa shall take over his mission. But as it is Sunnat Allah (the way of Allah), whenever the situation deteriorates and the divine teachings are trampled to dust, and dynasties take over, definitely Allah will raise His very own Khalifa (without the help and election of any creature) in the same Jamaat of Hazrat Massih Ma’ud (as) and in the Ummah of Hazrat Muhammad (pbuh) as His prophet (an Ummati Nabi) and having the same titles and grades as the Promised Messiah (as) in that which he also shall be a Khatam-ul-khulafa, i.e. all other subordinate prophets after him shall be from his own Jamaat and identity. Indeed years and years have gone by and I am curious to know if the Khalifat-ul-Massih Hazrat Mirza Masroor Ahmad has proclaimed himself officially to the status of Ummati Nabi and Khatam-ul-Khulafa in this era? Many people are led astray by their honouring their chiefs to the rank of God, taking them as their idols. These people follow only the instructions coming from their idols, their leaders even if these instructions are clearly contrary to the divine commandments. Hence, this situation will never be corrected unless divine revelation comes to clear out the misunderstandings and wrong interpretations of the Book of Allah and the writings of His Messengers. Alas, these chiefs mislead the people just to satisfy their personal desires and thirst for power. These chiefs are not like those whom Allah have safeguarded and honoured to the status of Ummati Nabi and Khatam-ul-Khulafa. Indeed, these chiefs are devoid of divine guidance and revelation coming from Allah. And whenever the subordinate non-law bearing prophets come to guide them to the right path, they turn a deaf ear to his call and label him a madman and liar. Today, the "mainstream" Nizam-e-Jamaat-e-Ahmadiyya is guilty of gross exaggeration of their assembly-selected leadership known as the office of "Khalifatul Massih". The 'deification' of 'Khilafat' in general and that of the reigning 'Khalifa' of the Jamaat-e-Ahmadiyya is of stunning proportions. So much so that anyone who is familiar with the community would be astonished with the perceptional transformation on spiritual questions achieved by the 'Ahmadi' leaders and scholars for themselves. 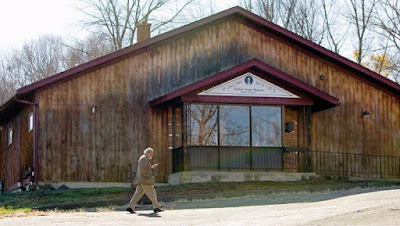 The theological engineering done by Ahmadi Ulema to exaggerate the importance of the office of "Khalifatul Massih" is apparent for discerning observers. Consider the Arabic term “Khalifa”. It is generally translated as ‘vicegerent’ or ‘deputy’. The basic meaning of 'khalifa' is ‘successor’. In the Holy Qur’an, one can see several verses that speak about generations and individuals who are successors to each other. For instance: [6:166], [7:130]. According to the Qur’an, ‘Khalifa’ can also be a ‘trustee’ to whom a responsibility is temporarily given. Holy Qur'an tells us that Haroon (as) was the ‘Khalifa’ of Musa (as) when the latter journeyed to His Lord for a period of Forty Nights under special Divine instructions. The Jamaat-e-Ahmadiyya and its Ulema today only speak about the assembly-selected "Khalifa", ignoring the Qur'an's larger message and subtle nuances. This is the "permanent arrangement"of spiritual leadership they foresee and envision for themselves till the end of times/ Day of Judgement. In his Friday sermon of May 29, 2015 Khalifatul Massih Mirza Masroor Ahmad Sahib spoke about the question of Ahmadiyya Khilafat in the same lines and looked upon all the material riches on the community as the 'Divine favour' on promise in the Later Days. Despite the acknowledgement of moral decadence among Ahmadis, they do not expect any Divine Elect to rise up and correct them on their mistakes. 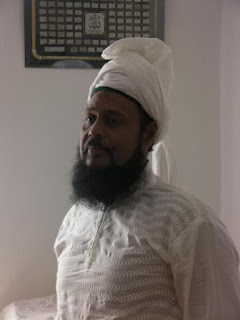 True spiritual vision of the Qur'an and Sunnat Allah is lost out in the mundane calculations and fallible imaginations of the Nizamis: Allah does what He Will, He raises up whoever He wishes, wherever He will, especially when such ideas gain credence among people to destroy the edifice of Tawhid. In a recently published book entitled "Towards the Understanding of Prophethood & the Fallacy of Hypocrites", written by the Divine Elect of our times, Imam Muhyi-ud-Din Al Khalifatullah Hadhrat Munir Ahmad Azim Saheb (atba) of Mauritius, the issue of Ahmadiyya Khilafat has been put into perspective. In the ebb and flow of human life and the fortune of communities all through history, trajectories of Divine favour can take different shapes and forms, but all human institutions fail and there is no alternative to 'Divine guidance as true guidance'. Truth seekers cannot avoid or evade the issue anymore: the perspective on "Khilafat" presented by the Khalifatullah (atba) is very persuasive and will appeal to the intelligence and heart of every fair-minded person, the arguments being theologically and rationally sound; Qur'anically based, historically-informed and sociologically- accurate. 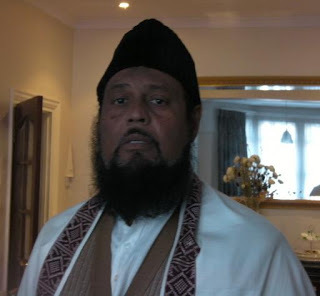 The leaders and scholars of the Nizam(e-Jamaat-e-Ahmadiyya) are today guilty of giving credence to self-serving, dynasty-perpetuating, 'doctrinal spin' on important questions of theological matters that impinge on the very foundations of true Islam. The teachings of Promised Massih Hadhrat Ahmad (as) highlighted the significance of Divine guidance as true guidance and today those who claim his legacy stand to deny the same 'by other means'. For clinging to their earthly 'positions', these leaders and scholars trample upon perennial Qur'anic teachings and would have common folks to believe that Allah (swt) stopped the enduring practice of raising His Elects in support of Tawhid. They would prefer everyone to consider that a man-elected-man is 'superior' to a Divine Elect, raised by Allah (swt) Himself in this era! 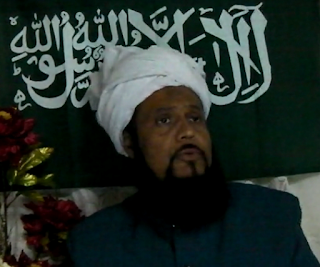 In a recently published book entitled "Towards the Understanding of Prophethood and the Fallacy of the Hypocrites", Imam Muhyi-ud-Din Al Khalifatullah, Hadhrat Munir Ahmad Azim Saheb (atba) of Mauritius corrects these doctrinal mistakes, interpretative anomalies and argumentative fallacies committed by the so called Ahmadi leaders and scholars. The central question of continuity of Divine revelations in the Jamaat-e-Ahmadiyya had for too long been kept under the carpet by these chiefs and now their ways are being challenged by a servant of Allah (swt), speaking with the help of Rooh-il-Quddus. The book in this context puts under scanner the reality of certain statements and pronouncements made by Khalifatul Massih Mirza Masroor Ahmad Sahib in one of his recent Friday Sermons. The Book also takes apart the article written by maulvi Abdul Ghany Jahangeerkhan. Ever since the advent of the Divine Manifestation in Mauritius, the maulvi had been at the forefront of efforts to extinguish the light of Allah from among the Ahmadis in Mauritius. Like the original Iblis in the times of Adam (as), he tried his worst to confuse and deviate as many Ahmadis as possible. He feared that common Ahmadis recognizing the Divine Light among them might turn upside down the very edifice of mundane chiefs to whom he was beholden. Sensing 'danger' to entreched fiefdoms, he cared far more to please his 'masters' at home and abroad than to bow before the wisdom and judgement of the Master of the Universe in raising a Messenger among them. In ringing Orwellian style of a rank hypocrite, he co-opted the 'language' of faith to deviate people from the faith! Each time Allah (swt) sends His Caliph (Khalifatullah) on earth, people refuse to accept him; they not only refuse to accept him but they also make all sorts of evil plans to stop him from spreading the message of His Creator. In the message he gives there is protection for humanity, to safeguard the true faith and guide them towards (the worship of) only the Unique God. He also shows them the path which shall lead them to the Unique God. Unfortunately, through their arrogance and ignorance, they persist in worshipping the idol/idols of their own making. A Khalifatullah is a guardian of the Tawhid (unicity of Allah) in a particular/special way. Allah (swt) has fulfilled His promise after Nabi Kareem (pbuh) where there were the Khulafa-e-Rashideen and after the Promised Messiah (as), there were the Khulafa-e-Massih; but like Allah (swt) has promised in the Holy Quran, in Surah An-Nur, Chapter 24, Verset 56, those who have faith and do good deeds as per the commandments of Allah, and who follow the divine instructions as to how to obtain (true) faith and who obey Allah (swt) in the performance of good deeds – whereby these shall be reflected in their deeds – then Allah shall establish them as His representatives, Khalifatullah on earth like He did with those who came before them. And moreover Allah shall reinforce for them their religion which He has perfected and loved for them and He shall transform their fear into security. Verily, this promise (and actual materialization of that promise) is a divine gift to the sincere believers who have firm faith in the unicity of Allah, who have Taqwa (fear for Allah only) and not fear for creature/s. They worship Allah only and do not associate anything to Him in this worship. Their love for Allah (swt) is infinite and they are always ready to lay down their lives for the cause of Allah. A Khalifatullah is a guardian for everybody; he becomes their heart and brain and whenever the Khalifatullah sees a sprout (the manifestation) of Shirk, he eliminates it. A Khalifatullah also does not worry about what the world may think of him – either positive or negative. He trusts that in such situations of negativity (against his person), Allah (swt) shall always help him (His Khalifatullah) for it is Allah who has chosen and raised him. With the advent of a Khalifatullah, what has transpired in the past in the times of the Khalifatul-Massih, Insha-Allah, with the help of Allah, the Khalifatullah shall not permit that all these mistakes be repeated in the Jamaat wherein the Khalifatullah is found! And I, as the Khalifatullah of this era, I make this firm announcement that wherever there is the Jamaat Ul Sahih Al Islam in the world, we shall not let innovations and Shirk enter the Jamaat. If ever these exist in the Jamaat Ul Sahih Al Islam, that I am not aware of, then (after taking knowledge of it) I cannot let these kinds of Bai’ats remain attached to me as the Khalifatullah of this age; I cannot let Shirk and innovations etc. enter the Jamaat. For me personally, I would prefer that these kinds of people break their Bai’ats and this shall not affect me. If someone becomes Murtad, Allah (swt) shall enable hundred pious and sincere people, Muwahid to enter the fold of the Jamaat (Jamaat Ul Sahih Al Islam). Before coming on the subject matter of my sermon today, I shall talk a little on what has transpired in France, Paris last Friday, 13 November 2015. Friday the 13th is believed by many, including the French people as a very inauspicious day. This superstition was reinforced with the killings which happened there (last Friday) and which made lots of victims. It was really a sad event, especially for the victims of these attacks. But unfortunately, I must stress also the fact that the Government of France, with all their arrogance won’t budge from their stand, especially concerning the giving of armaments to the people of Syria with the intention of capsizing the regime of Bashar Al-Assad, and also to reinforce their plans for the killings of the Muslims among themselves, thus weakening Islam further. It is true also that the type (and execution) of the Jihad which the so-called Muslims are putting into practice is completely unislamic. The attacks which they are perpetrating are not justifiable attacks as they are killing their own selves, committing suicide and having suicide as intention so as to kill innocent people. 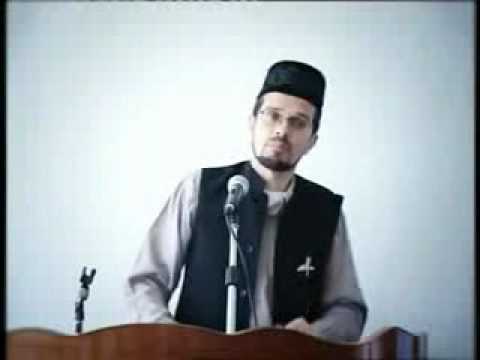 By the grace of Allah I continue today on the subject of my previous sermons, that is to say, the “Khidmat-e-Khalq” (Service to Humanity) and this sermon is specifically the continuation of the last Friday Sermon where I spoke on hospitality (to the guests, to the poor, to everyone). 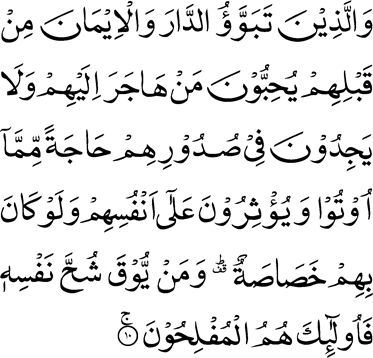 In fact, this is the same matter of the verses of the Quran which I mentioned in the previous Friday Sermons: Al-Insaan, Chapter 76, Verses 9-10. It is about the fact that despite the difficulties they face, they give priority to other people rather than their own persons. By the grace of Allah, the Jamaat Ul Sahih Al Islam is today celebrating its Jalsa Salana in the north of Mauritius. 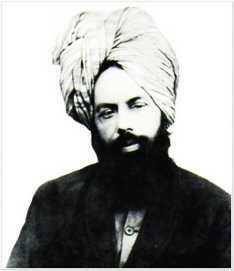 It is an historic Jalsa Salana in the annals of the Jamaat Ul Sahih Al Islam whereby a hundred years have passed since our ancestors first accepted the Promised Messiah of the past era, Hazrat Mirza Ghulam Ahmad (as). And all this came to be as per the plan of Allah (swt) for this little island, such an island which is difficult to see on the world map. And today, Allah has raised another of His Messiah who is present amidst you today to celebrate this centennial celebration of the message of the past Messiah in our little island. Allah (swt) has wished for His Messiah and Khalifatullah to celebrate the Jalsa Salana 2015 together with the seekers of truth of this era. And Allah (swt) gave His chosen servants that great honour to be foremost in the grand event of this year 2015, and thus the Jamaat Ul Sahih Al Islam was the first to be able to publish a centenary magazine on the subject, launched it and organised also several conferences around the island in different villages, accompanied by social works as well. 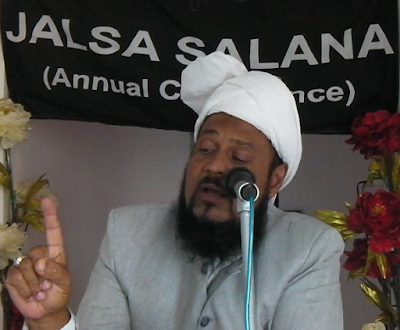 Therefore, this Jalsa Salana holds another status and importance today. It is a Jalsa which shows the results of this centennial year, for it is the Caliph of Allah (Khalifatullah) who has received this true blessing from Allah to honour those who toiled hard, made sacrifices over sacrifices in 1915 to receive the message of the Promised Messiah (as). When they accepted that message, they had to undergo all kinds of trials (for the sake of their faith). Their trials and sacrifices did not go in vain. It has borne its fruits in this very same island, and at the beginning of this century, Allah has raised His Messiah, His Muhyi-ud-Din, His Khalifatullah. You like it or not, but the fact remains that Allah raised this humble servant and Allah has decreed: “It is My Caliph (Khalifatullah) who shall have the upper hand over all other Jamaats”. The latter have failed because of their arrogance, boastfulness and more specifically because of their refusal to accept the Khalifatullah of this era and to believe in the revelations he receives from Allah. They have moreover given their idol foremost importance (instead of Allah and His signs). Thus ensured the results which they are now receiving/ witnessing, but Allah (swt) is verily showing these to them so that they may know that it is in the simple ways and without exaggerated expenses that they can make progress. But instead what do these people do? They are wasting (valuable) money of the contributors who contributed in the path of Allah. Allah (swt) has enabled His Khalifatullah to honour this centennial event and made him (i.e. this humble self) the key person in all aspects to receive this privilege. The Jamaat Ahmadiyya (mainstream) lost this divine honour, for despite that they are celebrating that centennial event, yet there is no spiritual flavour, no spiritual juice in it, just like a withered orange devoid of juice.